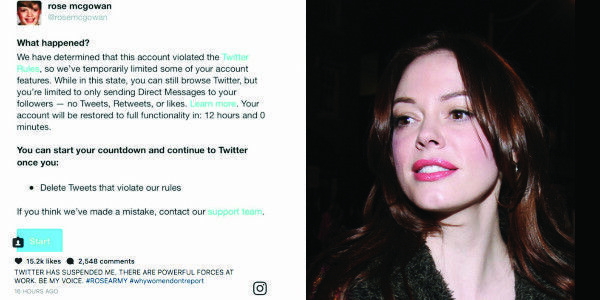 While it’s true that posting phone numbers should not be allowed, it’s unconscionable that McGowan was silenced while horrific examples of harassment and threats of violence that clearly violate Twitter’s policies have been allowed to remain on the site. Neo-Nazis and white supremacists like Richard Spencer and David Duke regularly get away with tweeting hate speech. And of course, the white supremacist crowdfunding site WeSearchr, which publishes personal information of those who stand against it and encourages its base to harass those people, has not only gotten away with doxxing, but has been granted verified account status. Over and over again, it seems that Twitter requires victims of abuse and marginalized voices to strictly adhere to its policies, while overlooking, justifying, and legitimizing violations for racists, misogynists, and bullies.